Entrepreneur, software developer, management consultant. He once scaled down a level 5 mountain with no harness on (by accident).Subscribe to his musings. There’s a Chinese card game called Sheng Ji (升級) that I believe is a great combination of teamwork, intelligence, signalling, and probability. As with many other Chinese games (e.g. Mahjong) the game is complicated, meticulously calculated to be fair, and can take a while to play (and can be turned into gambling, but let’s not go there). A good analogy is the game Bridge. I first started playing in second year university. My friend and housemate Frank suddenly asked if I knew how to play, and before we knew it we got two other people and the four of us were huddled on the floor in my room slamming down cards and hurling verbal obscenities at each other (not part of the rules but certainly part of the fun). The long games would also get quite physically demanding, and it didn’t help that I didn’t have any furniture except for the back row seats of my old College Pro Painting van. We started playing quite frequently and would often take advantage of exam period breaks to play all night in many fierce intellectual battles (if there’s a way to make that sound cooler please let me know). 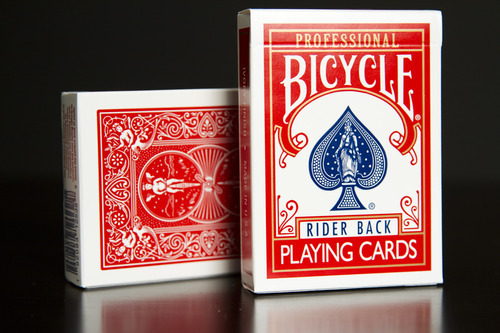 This game requires lots of memorization - you typically play with two decks of cards. I’ve seen Frank play three or four decks and that just boggles my mind. But then again, that’s partly why I play it - to boggle my mind. Yesterday was the first time I’ve played in a long time and I felt myself loving it. The foursome I used to play with are now in Vancouver, Toronto, London, and Hong Kong, which makes playing a bit tough, so it was great to get back into it. The feeling of taking calculated risks, trying to remember what someone else played three hands ago, and the feeling of playing a “tractor” hand are still engrained inside of me. Maybe you can tell what a person is like by what he likes to play. Like Warren Buffett in Bridge. Or Barack Obama and basketball. Or my mom and Candy Crush. According to an interesting article on Aeon Magazine, a lack of play ironically robs children of growing up. One particluarily disturbing quote is, “The decline in opportunity to play has also been accompanied by a decline in empathy and a rise in narcissism…”. As we’ve all heard, all work and no play makes Jack a dull boy. By the way, Sheng Ji means “Level Up”, in reference to the different levels of trump cards each team must progress through in order to win. If you’re curious about the game, let me know! We can level up our brains together.